At Precision Pressure Wash we recommend having your gutters cleaned at least once per year to prevent the unnecessary build up of mold, mildew and debris. Our gutter cleaning service includes cleaning and rinsing of the gutters as well as flushing of all down spouts to prevent clogging. 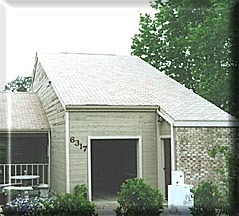 Pricing for this service is based on the size of the home and the number of gutters to be cleaned. Gutter cleaning for an average size home carries a price tag of $75, which can be reduced in combination with other services. ROOF CLEANING: Like the rest of your property, the roof is also under constant attack from damaging molds, mildew, fungus and algae. These elements often materialize in form of dark streaks that run down the length of the roof. Aside from the unsightly appearance, these dark areas absorb heat from the sun causing the shingles to curl up and sometimes decay, thus shortening the life of the affected shingles by several years. Here at Precision Pressure Wash we have a gentle fog spray machine specifically designed to clean your roof effectively with mild pressure as to not cause water damage associated with pressure washing a roof. 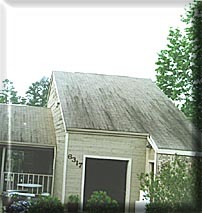 At Precision Pressure Wash we have the means to clean standard shingle roofs on any home as well as the cedar shake roofs used in many upper class neighborhoods. Our roof service carries a three-year unlimited guarantee protecting your roof from further dark algae stains for the remainder of three years.